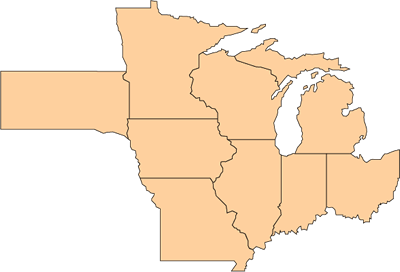 The Midwest is a highly productive agricultural region. This is due in part to a favorable environment, which includes deep soils, timely rainfall, and ample solar radiation, among many other factors. However, the region has begun to experience more volatile and variable weather events and conditions, including increased spring rainfall, more frequent 100-year floods, increasing dew points and humidity, and the accumulation of more growing degree days (U.S. Climate Assessment Report; see section entitled "Midwest"). These long-term climate trends are impacting corn-based cropping systems and Midwestern farmers are seeking ways to ensure continued crop productivity while minimizing environmental impact. This project is continually gathering information and resources to understand the environmental, economic and social impacts of long-term shifting weather patterns on agricultural production in the Midwest, and to share that information with farmers. To that end, we have developed publications that can be opened and downloaded from this website, with information that can assist with farm management decisions. Several publications are available for each state--each one focusing on a specific region within a state. Information in the publications includes regional average annual precipitation, average annual temperature, frost-free days, growing degree days, increases in extreme rain events, and changing temperature patterns. U.S. climate trends are impacting corn-based cropping systems and threatening agricultural investments. In response, farmers are seeking new ways to ensure continued crop productivity while also minimizing environmental impact.